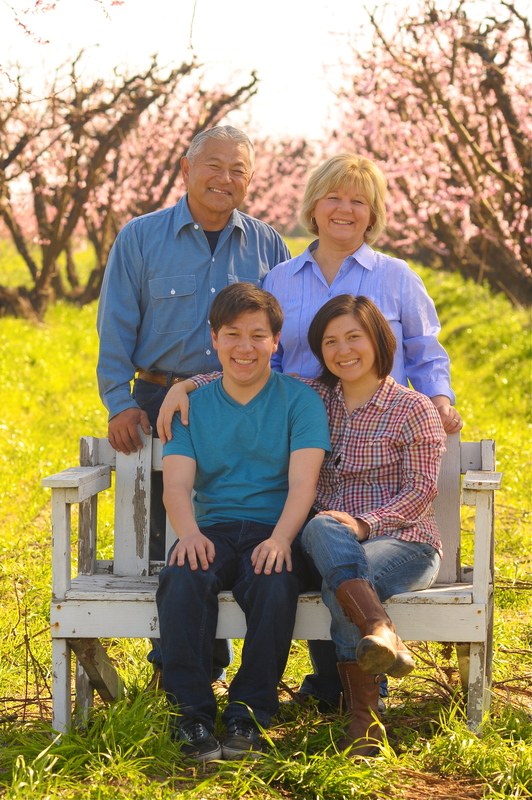 Changing Season: On the Masumoto Family Farm Premieres On PBS May 2016! Check your local PBS station for airdates. Philadelphia Asian American Film Festival, 8pm November 20, 2015. San Diego Asian Film Festival, 1pm November 7, 2015. SPUR (San Francisco), 6pm August 5, 2015. Masumoto Family Farm, 7:30-10:30pm, July 11, 2015. New Parkway Theater (Oakland) Doc Night, 7pm June 23, 2015. Post-film Q&A with director Jim Choi and editor Chihiro Wimbush. Sacramento Asian Pacific Film Festival, May 30, 2015. Official Documentary Selection, to screen at 5:45pm. Winner of Best Feature Documentary. Los Angeles Asian Pacific Film Festival, April 28 and April 29, 2015. Director Jim Choi wins Best Director for a Documentary Award at the festival. 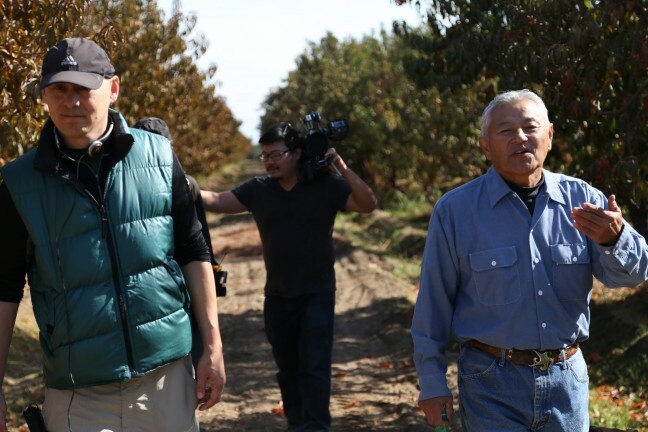 Changing Season: On the Masumoto Family Farm world premiered on March 20, 2015 at the Oakland Museum of California as part of CAAMFest 2015. Jim Choi (Director) emigrated to the Washington D.C. area as a child. Being a 1.5 generation Korean American, his youth was spent witnessing the sacrifices immigrants make in order to adapt to a new country. He is intimately aware of the disenfranchisement experienced by those who are under represented and is dedicated to creating media that cultivates agency for those that do not have access to the levers of power. As an alumnus of the Rhode Island School of Design, he has always brought a fine artist’s perspective to story telling. 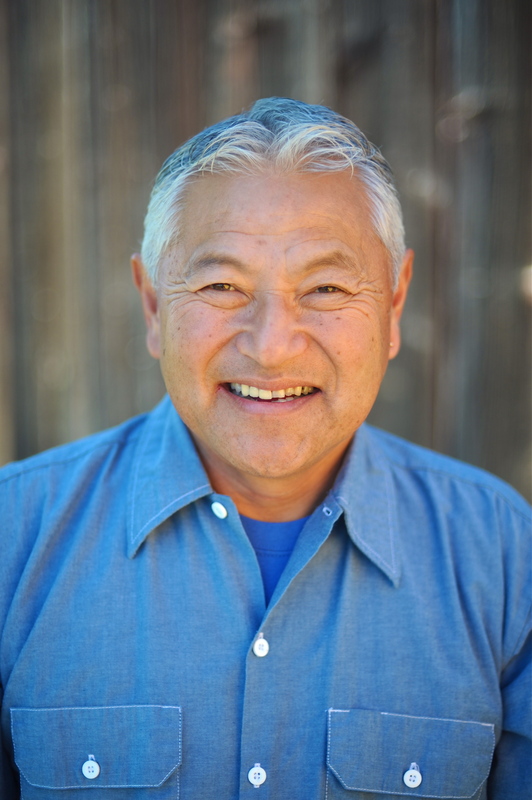 Produced through the historic Kearny Street Workshop, he is one of the founding curators of the first multidisciplinary Asian American arts exposition, APAture. Created to provide a venue for emerging artists from the Asian American community, it spawned other media endeavors like Hyphen magazine and the arts venue Locus Arts. Choi’s most recent directorial credit is Don’t Lose Your Soul, an intimate profile of Anthony Brown and Mark Izu ,the founders of the Asian American Jazz Festival. A selection of the Los Angeles Asian Pacific Film Festival, it aired on KQED in San Francisco and was offered nationally on public television. He served as the Director of Photography on the IFP Gotham Audience Award winning Jake Shimabukuro: Life On Four Strings. His work on Lost and Found: Legacy of USS Lagarto garnered an Emmy nomination in the cinematography category. Chihiro Wimbush (Editor) is an Oakland-based documentary and narrative filmmaker. 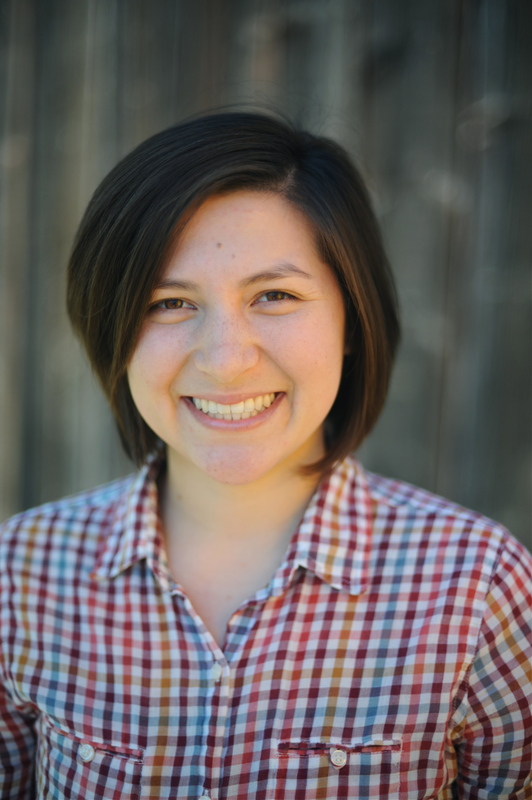 Wimbush is a 2012 Sundance Creative Producing Institute Fellow and a 2011 Bay Area Video Coalition Media Maker Fellow. He has worked on a wide range of media projects around the world including baseball in Cambodia, AIDS orphans in South Africa, homeless bakers in Appalachia, students with disabilities in Guangzhou, China, and the dalits (untouchables) in India. Wimbush has spent the past half-decade as co-director (with Amir Soltani) and cinematographer on a documentary feature, Dogtown Redemption, about homeless shopping cart recyclers in West Oakland, California.This project has been supported by the Sundance Institute, California Council of Humanities, San Francisco Foundation, Pacific Pioneer Fund, and is a project of the San Francisco Film Society. He has also worked in narrative film; as writer/director he created two short films, Cross Fader and Double Features, both of which played at numerous festivals across North America. Chihiro served as a production manager or as a producer for three narrative feature films for the Center for Asian American Media, working with directors Wayne Wang, Richard Wong, and HP Mendoza. Jim Choi and Chihiro Wimbush has previously worked together as co-directors of Don’t Lose Your Soul. Before focusing on filmmaking, Chihiro was a musician, DJ, as well as radio host and producer. He co-founded APA Compass, an Asian-American public affairs program and hosted the world music program, “Your Blue Room” for eight years, sharing music and interviews from an international array of musicians. David “Mas” Masumoto and Nikiko Masumoto. 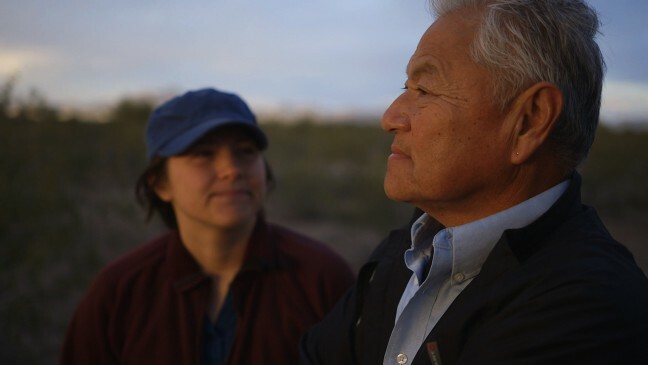 Still from Changing Season: On the Masumoto Family Farm. Nikiko Masumoto and her father David “Mas” Masumoto. 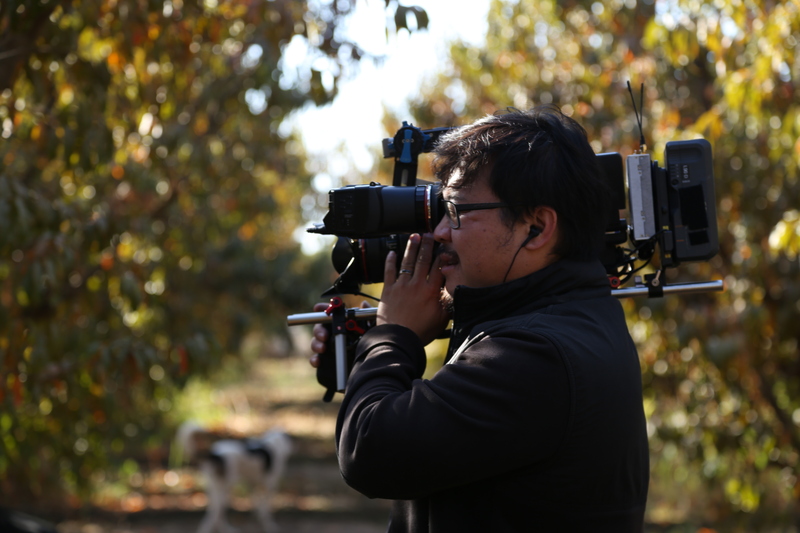 Still from Changing Season: On the Masumoto Family Farm. 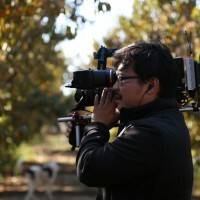 Director Jim Choi. Photo credit: Alan Sanchez. To rent or buy the film, please go here or contact distribution[at]caamedia.org with any questions. “Nikiko’s Blog: Camera in the Field” – an essay by Nikiko Masumoto. “Honoring the Masumotos: A Peach essay and recipe” – an essay by Mas Masumoto and recipe by Marcy Masumoto, reprinted with permission from The Perfect Peach by Marcy Masumoto, Nikiko Masumoto, and David Mas Masumoto (Ten Speed Press, 2013). This program is a co-production of CAAM with Director Jim Choi with major funding provided by the Corporation for Public Broadcasting.